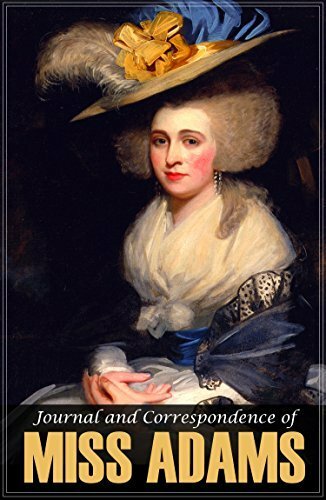 Daughter of the second president of the United States and his wife, Abigail “Nabby” Adams traveled with her mother, the irrepressible Abigail Adams, to Europe in 1783. These letters and journal were penned from there in 1785 and include meetings with the famous and royal, as well as affectionate and humorous anecdotes. She mentions dinners and teas with Benjamin Franklin, Thomas Jefferson, John Jay, among others. While abroad she met and married Colonel William Stephens Smith, an aide to her father.